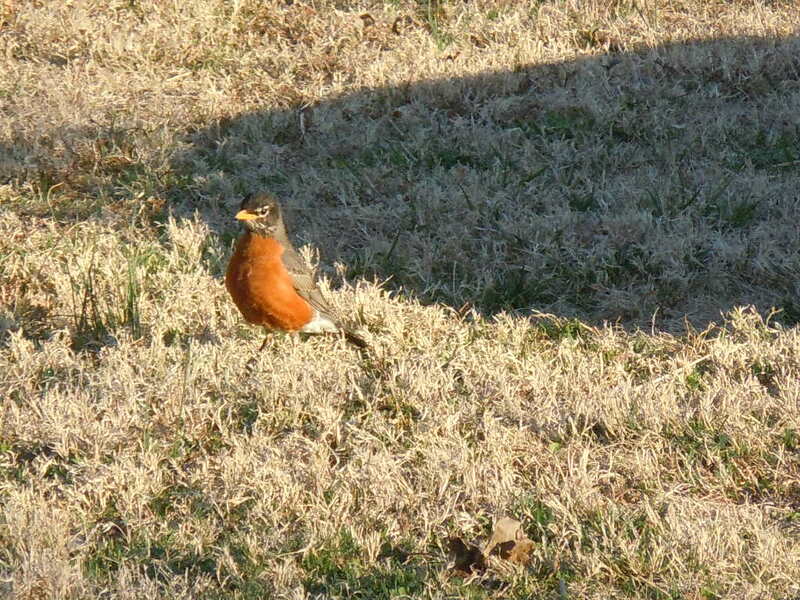 A bright breasted robin hunting for worms in the early morn out in the yard. He’d be so much prettier in green grass. We’ll get there, my friend.